Across the country, unions are winning contracts that improve conditions not only for members, but for the communities they serve. From the LA teachers, who struck for fair pay and better staffing in their schools, to the Wright State faculty, who refuse to let administration’s financial mismanagement be balanced on the backs of staff and students, this movement is driven by solidarity: Regular members, with no formal union role, taking action alongside their colleagues. Our bargaining team is doing a great job leading our own negotiations, but the participation of regular members is what will help them win the fair contract we deserve. Rank-and-file members signalled their priorities from the start of the process, and have been observing bargaining sessions, caucusing with our team, and providing testimony. It was also regular members who recently turned out en masse for informational pickets, and demonstrations at BoT meetings. As negotiations continue, we need more union members like you to join in solidarity with this effort. 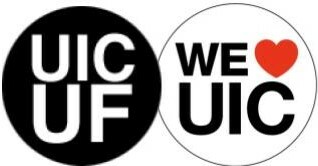 Every action, from proudly wearing a UICUF button on bargaining days, to attending our next membership meeting, demonstrates our commitment to improving conditions at UIC. We have 2 bargaining sessions coming up (2/8, 2/22), and a critical all-members meeting (2/20) on the future of our contract campaign. With Admin offering below-inflation raises, and lowering expectations on shared governance and academic freedom, we are considering all options to win the contract we deserve. Participating in union events gives you a voice in those decisions, and strengthens our collective power to win on the issues you care about most. Until we win a fair contract, we will be issuing regular updates via email, Facebook, Twitter, YouTube, and here on our website. We encourage everyone to like and follow us on social media. If you want to contribute your story, pictures, video, or other content related to the activities of the union, email us at UICUnitedFaculty@gmail.com. With your support, we can make UIC an even better place to work and learn! UIC United Faculty is the labor union representing the bargaining units of Tenure/Tenure-Track and full-time Non-Tenure Track faculty at the University of Illinois at Chicago.